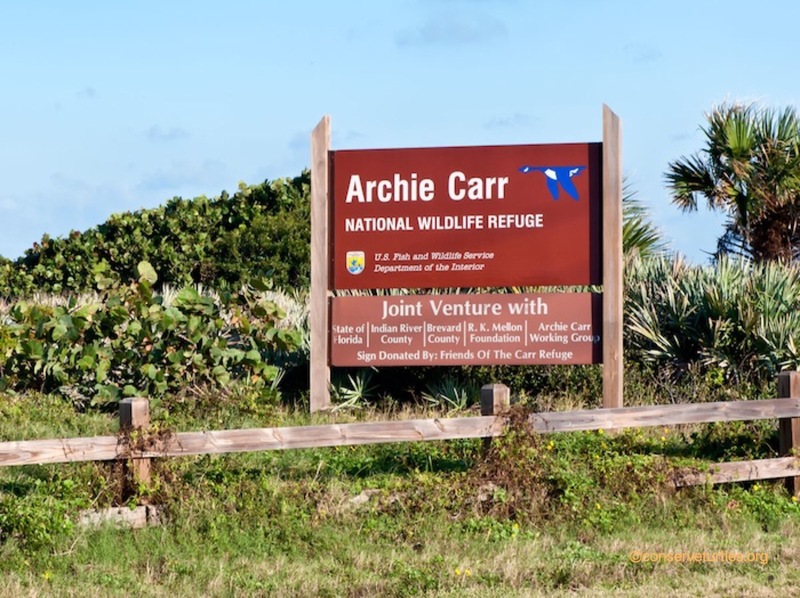 Immediately south of where we are staying in Melbourne Beach and stretching 20.5 miles south, is the Archie Carr National Wildlife Refuge. To the normal visitor (like us), this beach could be mistaken for any number of other beaches in Florida. Miles of endless sand with the ocean pounding the shore. Homes, condos and businesses behind the dune. But it’s what happens here beginning in March and continuing through summer that makes this stretch of beach unique…for it is here that 25 to 35% of the loggerhead and green sea turtles in the US nest. Approximately 15,000 to 20,000 turtles build their nests here annually, returning to the place of their own birth after journeys of thousands of miles through the ocean. That averages out to a nest about every 6 feet! Peak season is June through August. When these giant sea reptiles get to land, their graceful sea movements become a major struggle to get to the top of the beach. The tracks they leave behind appear to be something a tractor or 4 wheel ATV might make. They dig their nests and lay their eggs, then head back out into the ocean. Approximately 2 months later, the baby turtles hatch and crawl across the beach and out to sea. Hatchlings make bite-sized meals for birds and crabs, and many do not make it. The survivors swim out to the Gulf Stream and live their first years in floating seaweed as it circulates around the Atlantic, traveling thousands of miles in the process. 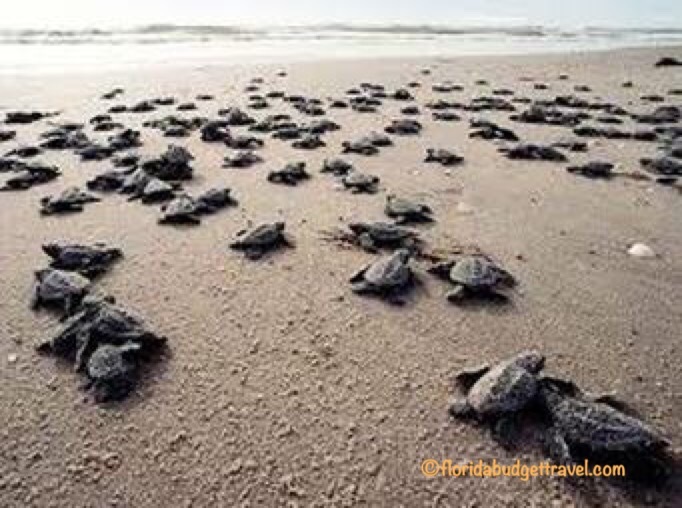 As juveniles, many live in the lagoons and intercostal waterways behind the barrier islands. Once they mate in their mid-twenties, the females make their way to their home beach to complete the cycle. Scientists are still researching how long sea turtles live, but it is generally believed that they can reach at least 80-100 years old. One of the issues that comes into play is the artificial light from homes and businesses. The unique feature of this sanctuary is that it isn’t just vacant land; it is a patchwork of private and public acreage. 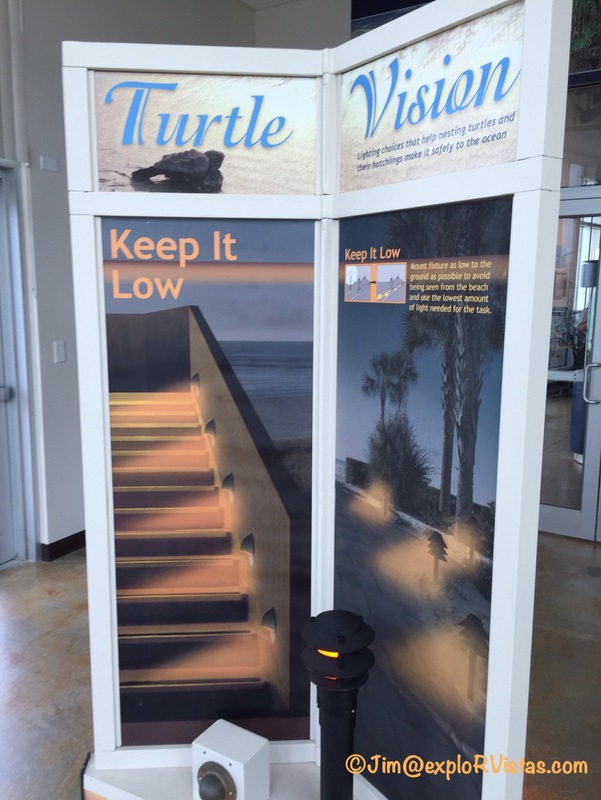 The refuge encourages private landowners to use soft indirect lighting, preferably in amber and red, so as to not confuse the turtles. The reptiles rely on the moonlight off the ocean to guide their way at night. The refuge also works with the public to educate them on how to coexist with turtles, so as to not disturb them during the nesting process. Before we go any further, a little history about Dr. Archie Carr. 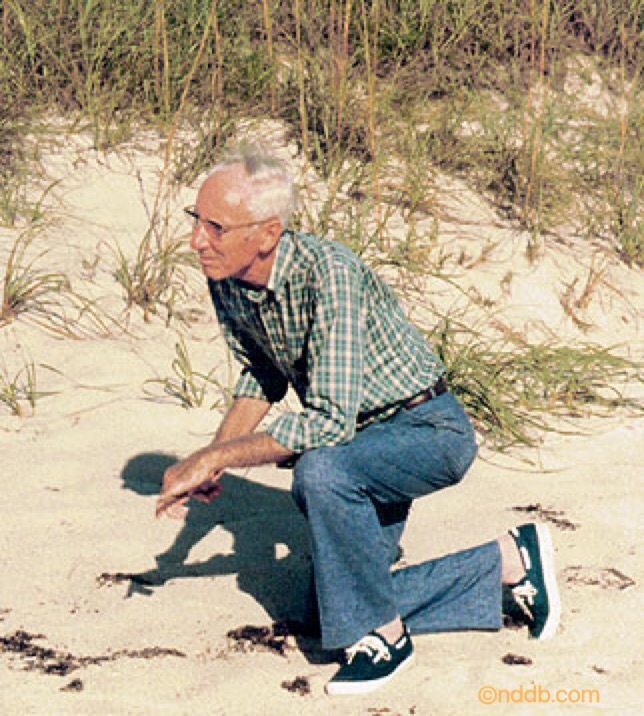 Dr. Carr (1909-1987) was a professor of zoology at the University of Florida. Over his lifetime, he became one of the leading experts on sea turtles. While most of his conservation efforts involving turtles took place in Tortuguero National Park in Costa Rica, his work was noted worldwide. As a result, the refuge in Florida was named after him. 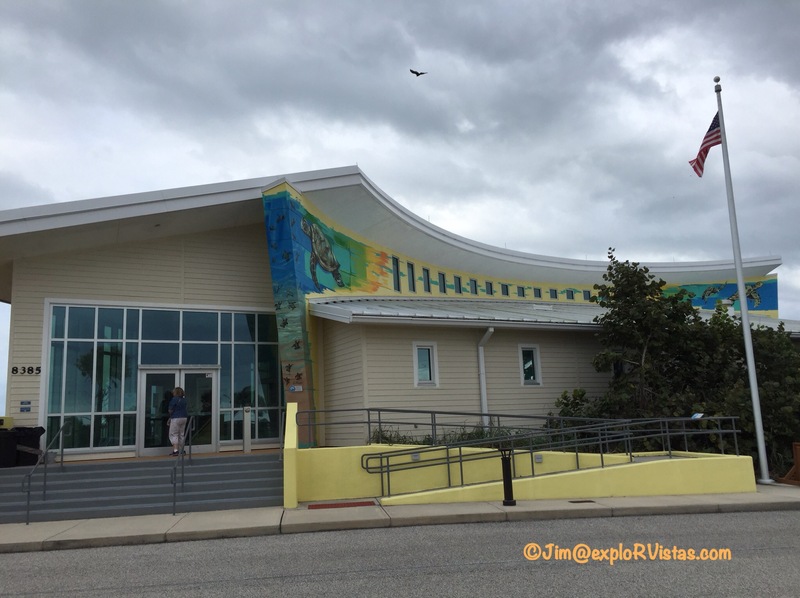 A few miles north of the Sebastian Inlet is the Barrier Island Sanctuary Visitor Center. Inside are many informative displays about the refuge, as well as a nice theater with several videos regarding the sanctuary. The center is totally free to visit, although donations are gladly accepted. The one display that grabbed my attention had to do with the comeback of the green turtles on this stretch of beach, as a result of the conservationist’s efforts. In three decades, the quantity of nests has increased 100 fold. That is truly amazing! With all of the modern, man-made disturbances pulling them towards extinction, it is wonderful to see mankind being able to help reverse that. So if you find yourself in this area, take the time to learn more about sea turtles. 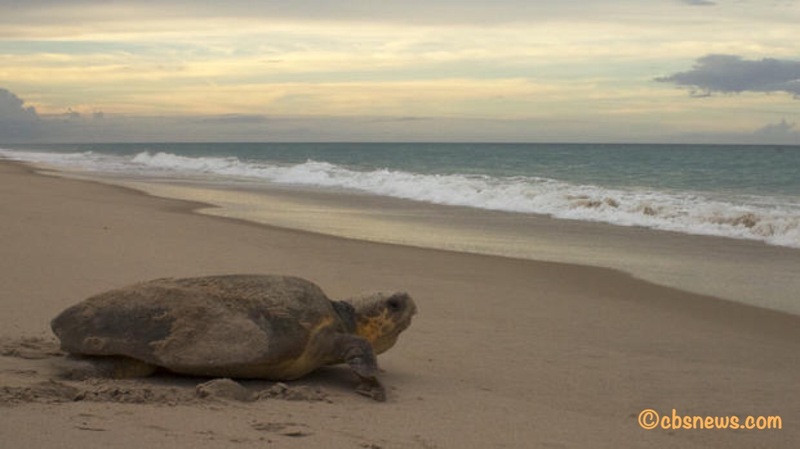 If you are here in late spring and early summer, take a guided turtle walk to witness these giants first hand. 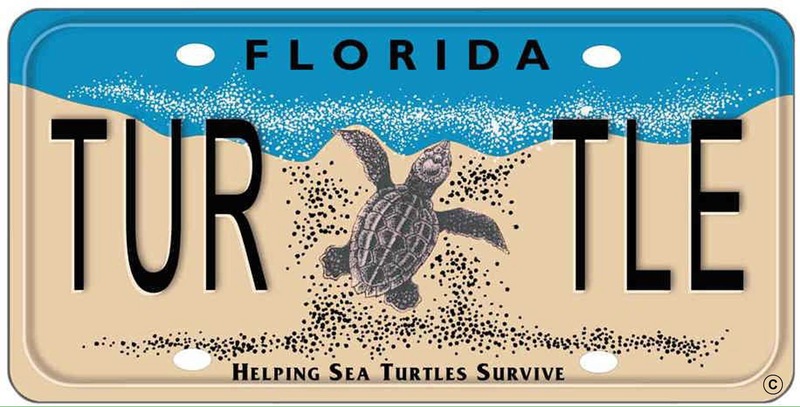 Or if you are a Florida resident, buy a sea turtle license plate. The proceeds go towards sea turtle conservation. Thank you Jim that was a great read. Sea turtles are such mysterious creatures. I would love to see both the Momma turtles lay their eggs and the baby turtles make their way to the ocean someday! Total bucket list item! Definitely something we would like to see also, Kelly! Now we know where our best chance of seeing them in the US occurs! We are hoping to catch a glimpse of one before we leave in March, Pam and John. I doubt we will, as that is so early….but you never know! As I was telling Bonnie earlier, if you have Prime, click on my Amazon link and watch that video for free. We really enjoyed it. Maybe you will get lucky this year:) It seems that Florida has been way warmer than normal so that might speed up the turtles!! Thanks, Jodee! If you ever write a post on the tortoises, I’d love to read that! Jim, aside from a fun time for you and Diana, it’s a real service to publish info about the refuge, the turtles and to center. Thanks for a good read and the info! That refuge would be enough of a reason for us to consider staying where you are… Have to think about that. I may check back with you later in the season. Could possibly consider March, or Feb. But need to do this place justice first. Totally understand that. I’ll keep my eyes open. As we spend time here there ARE things to do nearby, none of them VERY NEAR BY, but close enough to reach. The access factor has me willing to consider a move but I’m not in a hurry. Once we get into a place it’s amazing how fast time can fly. But a bigger factor is that I want to get the local RV repair guy to come out early in our stay and look at that door lock AND the toppers. If we need to wait on parts procurement I want to get a start early enough in our stay that we can order them, have them shipped and he can get back out to install before we have to face a move. I’m going to call him some time next week — get him out here — and go from there. We could be waiting months for parts, or maybe there’s a quick permanent fix and we could go someplace new momentarily. Will keep you posted. That was Diana’s pic….and your suggestion for changing it up! Absolutely incredible! I would love to see this area in person and perhaps catch a glimpse of one of them! It would be worth it to brave the 90 degree average highs in July and August, Jim! I love the sea turtles! 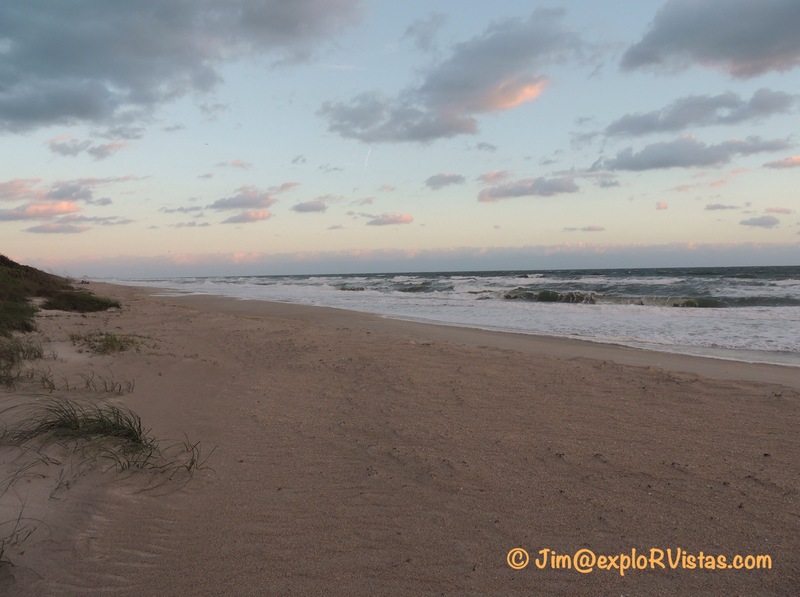 Many years ago, before we started RVing, we stayed in Jupiter right on the beach. 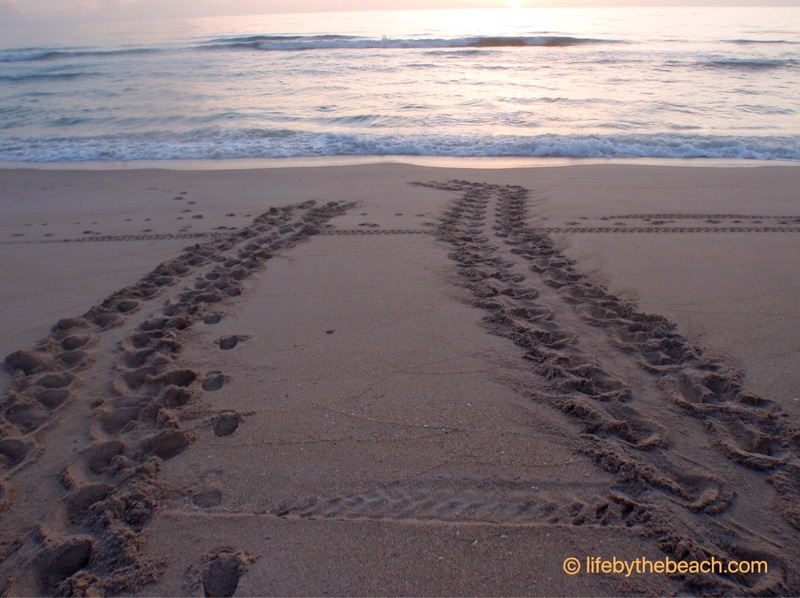 I was in awe when we walked along the beach one night and watched a female sea turtle laying her eggs on the beach. Our son witnessed some hatch-lings entering the water another night. Definitely worth planning a trip to see it. That is so cool. We are hoping to see that also! Wow that is amazing. The tracks really do look like ATV tracks or something of the sort. I hope you get to see the turtles come in before you leave. If we see one, I’ll do a video! I love turtles and tortoises and during my volunteering in Galapagos islands, I’ve worked in different centers that were protecting these animals. We had to count them, to feed them and to take care of them in the hatchery. I’ve seen some on the beach, or on the volcano (they are running wild over there) but I wasn’t there at the right time to see the babies running to the sea. I’ve seen a lot of documentaries and it’s very interesting to see that they have to battle for surviving as soon as they hatched. I didn’t really know you could find tortoise/turtle in Florida. There was a great interactive map in the visitor center that showed the different hatching sites throughout the world, Gin. There are a lot of sites! Two of the reasons they like it here are the dark, course sand and also the Gulf Stream. I’m sure there are a lot of places where we won’t suspect we can find tortoises.